For thousands of Israeli residents, hunger is an ever-present phenomenon. During the last few years, that phenomenon has perpetuated among the poor in Israel, as they no longer ask only for monetary assistance, but rather must resort to asking for basic food products to help feed their hungry children. Not only do they not have the food to eat, but many of them also lack a place in which to eat the food. 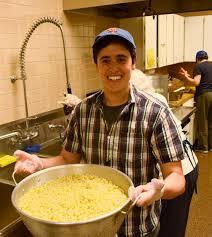 For this reason, Yad Ezrah has opened a daily Soup Kitchen. Three meals are served daily in an atmosphere of warmth, friendship and acceptance. For many, the social support is as essential as the actual meal, for they feel they have a family; they feel they are being cared for. Yad Ezrah volunteers deliver healthy, nourishing and delicious meals to hundreds of men, women and children three times a day. For many, this is literally their key to survival. A warm meal in an environment of friendly faces is a personal sensation of hope and gratitude. 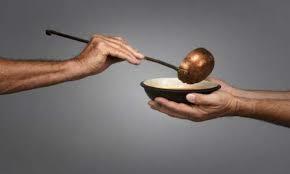 Yad Ezrah hopes you will help feed many more hungry mouths and we are certain that Hashem to show you His gratitude.